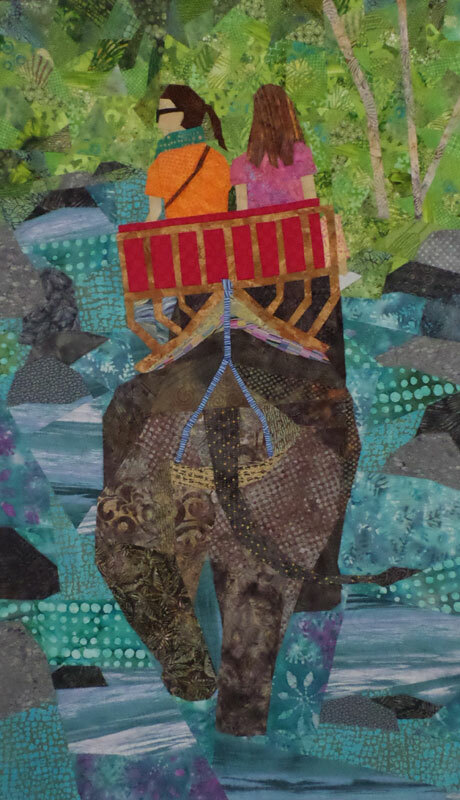 I’ve taken my fair share of elephant rides in the jungle so it just seemed like turning it into a quilt was a bit overdue. The two young ladies on the elephant happen to be my nieces, who came to visit several years ago. Obviously I was on the elephant behind them!